PSG Rentals manages your long-term rental properties and your short-term vacation rentals. Need a Rental Property Manager? We appreciate you considering Pacific Sunset Group for your vacation home rental and long term rental management needs. 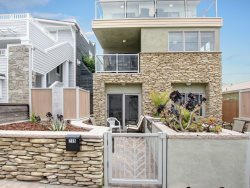 Pacific Sunset Group offers professional short term vacation renting, long term leasing and management of residential properties in the San Diego area. Providing ease of mind to our property owners and an enjoyable experience to our occupants is our number one goal. We focus our Vacation Management on upscale vacation properties in the Mission Beach and Coastal areas. We will offer guidance to property owners on the selection of furnishings and décor to help your property garner the best return. Vacation Rentals are restricted to the primary responsible occupant being age 28 and older to assist in the protection of your investment. Vacancies are expensive for both of us, we make every effort to keep our vacancies to a minimum. Properties are advertised on trending vacation rental sites and our new reservations system allows clients to secure their vacation 24 hours a day. We want good long term tenants just as much as you do and pride ourselves in the quality of tenants we are able to attract. Credit checks, rental references, and personal/professional references are checked to confirm tenants have a problem free rental history. All leases are 12 months with month-to-month extensions after that. A security deposit equaling one month’s rent. Periodic inspections are made by management and maintenance of both the interior and exterior to provide additional protection for your investment. We would appreciate the opportunity to meet with you in person to present to you how Pacific Sunset Group can best fulfill your management needs, thank you in advance for your time.